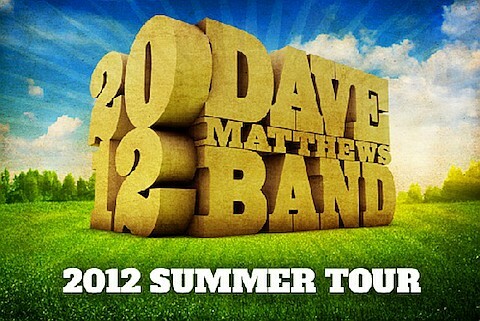 After the Dave Matthews Band‘s unprecedented touring hiatus in 2011 (which resulted in a four-stop Caravan mini-tour… , instead of the road-happy group’s typically packed summer schedule) the Grammy-winning jammers announced they will be embarking on a 39-stop tour across North America with a 2-night dip at Jones Beach!. DMB bassist Stefan Lessard tweeted to fans early Wednesday morning, “Start getting excited!” Fitz and the Tantrums will be supporting act. DMB recently headed back into the studio with Steve Lillywhite (who produced the band’s first three studio albums, Under the Table and Dreaming, Crash and Before These Crowded Streets, as well as the underground fan favorite, the unreleased Lillywhite Sessions) so fans can expect the usual mix of playing the old and testing out the new.